Many Saturdays, by the time we get home from the farmer’s market our greens and leafy herbs have started to wilt. After spending a lot of time talking with the experts (JBG customers), here is our method for reviving and preserving our greens. Place the wilted greens in your clean kitchen sink and fill with cold water. Reduce the temperature an additional few degrees by adding some ice cubes. 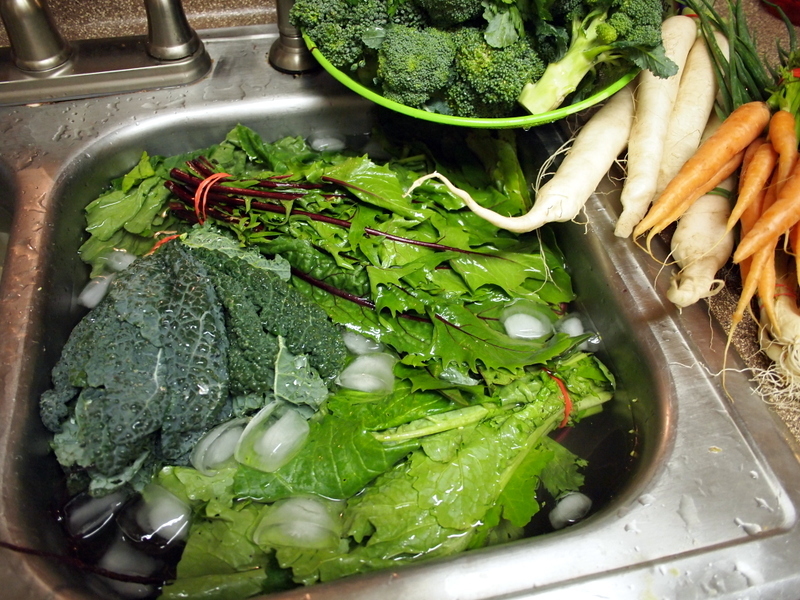 Allow the greens to cool and absorb water for 15 to 20 minutes then allow them to dry on a dish towel or a clean dish rack for about 10 minutes. Place the greens in clean, dry plastic produce bag and refrigerate until you are ready to use them.